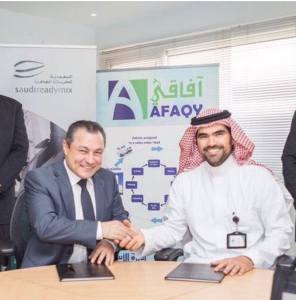 Saudi Readymix announced the signing of an agreement with Afaqy Tech. LLC to install GPS navigation and telematics equipment on over 1,000 company heavy vehicles, which include trailers, bulkers, mobile pumps and truck mixers. The new equipment will continuously capture more than 200 key data elements from each vehicle on the road. Saudi Readymix is planning to launch a new version of its Customer App before the end of the year. The new version will contain more features and will enable Saudi Readymix customers to track “live” the deliveries of concrete during any of their pours.